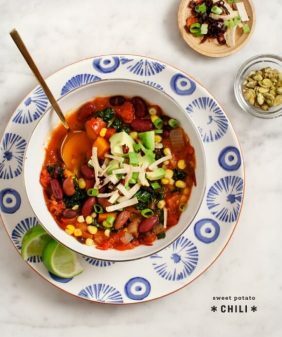 That Spicy Black Bean soup looks unreal! I have never made one like that before. I am so in love with soups when it is chilly out, love having something warm to eat! Thanks for this wonderful round up. 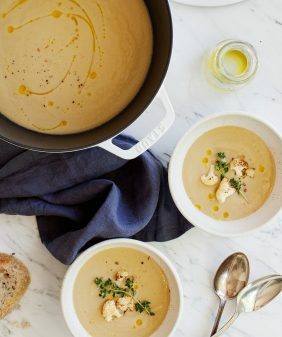 I have been all about soups now that fall is here and winter is fast approaching. Will definitely be making one of these during the coming week! No snow for me yet, but definitely very cold. So I’m ready for soup. These all look fabulous and perfectly cozy! Oh yay! I love soups and now that I’m living in cold weather (if GA can be considered cold weather) I’m loving the ability to experiment with them. I’m going to try a few of these out. 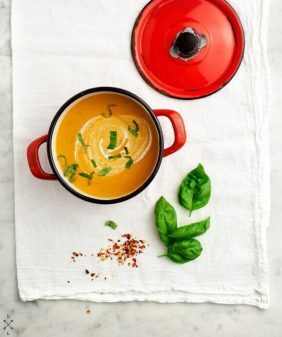 The tomato, chickpea and coconut soup looks absolutely fab! i dont blame you guys for staying in..its been like this here in Dallas too. 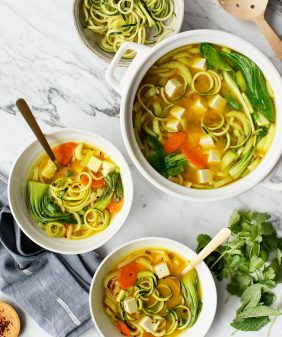 I think its going to be a brutal winter 🙁 keep these soup recipes coming. I love that I live in a place where it’s cool a good part of the year because soups, stews, and curries are my favorite way to eat. 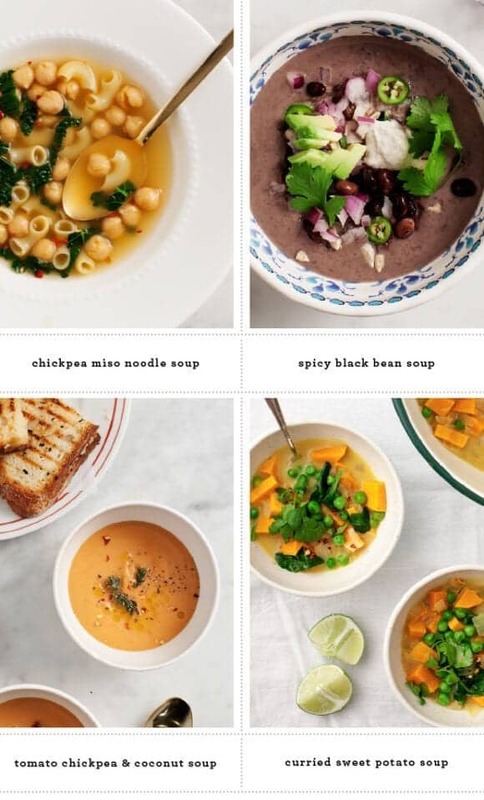 All of your soups look good, and that curried sweet potato soup is definitely something I need to make soon! 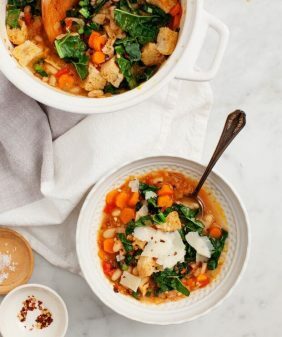 Over at my house we like sweet potato bisque, white bean and kale stew, and smoky corn chowder! 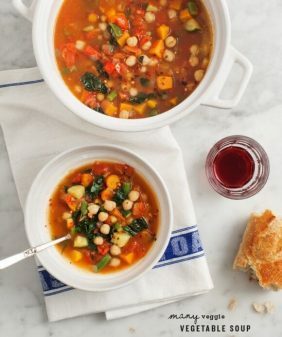 The tomato chickpea & coconut soup looks AMAZING! yum!